I know that this title must sound somewhat barbarian to many of you, but it is only the name of the French cake, which recipe I am going to write hereunder. Limousin is a province of France, Limoges its capital, and the clafoutis is a speciality of this place. My grandmother who was coming from Limoges passed to me this traditional recipe. 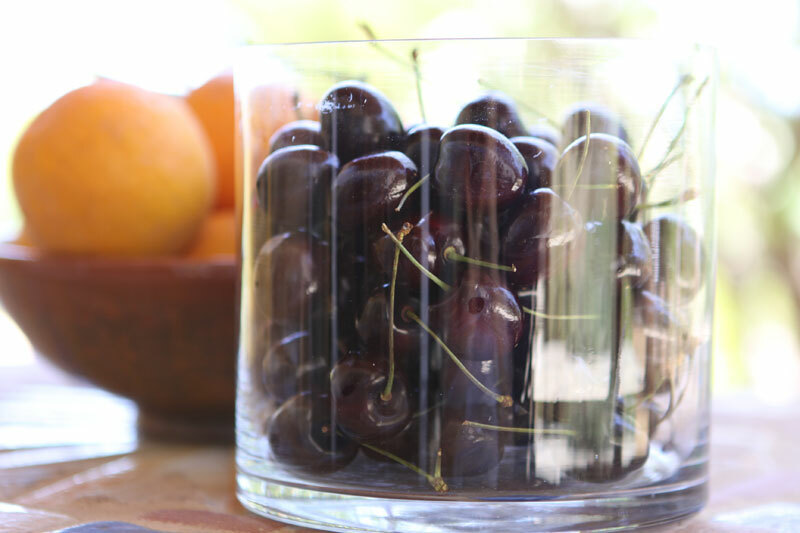 Those sweet cherries are just a dream, eaten freshly cut from the tree. 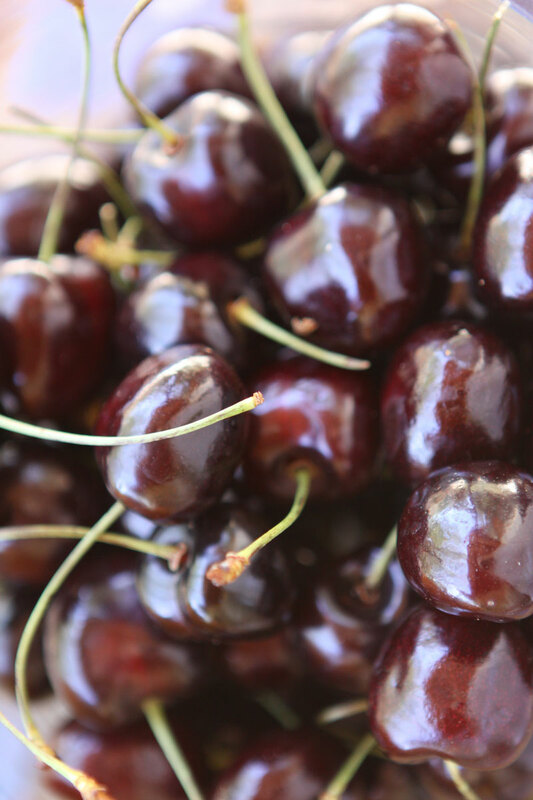 For my cake, I prefer to use sour cherries. They give a very pleasant slightly acid taste. Yesterday I was offered this tool by a friend. It is a stoner. I decided to try it, and I can say it did the job successfully! 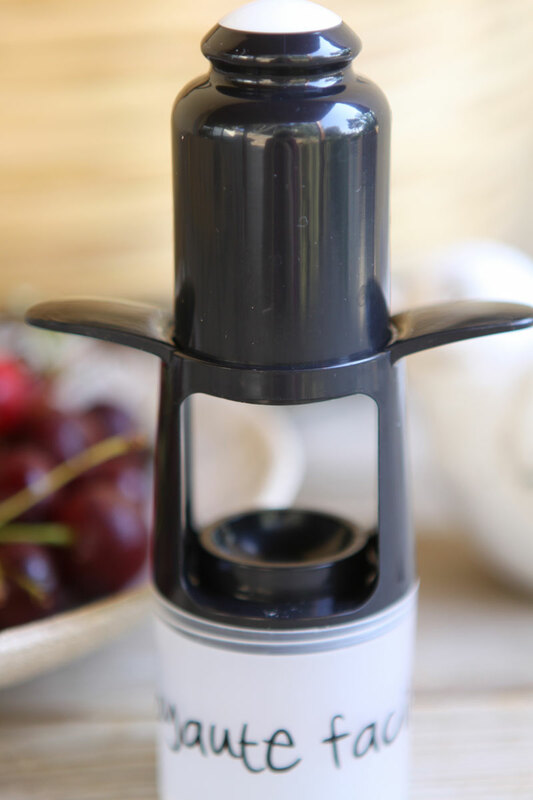 It did not throw red juice on me and all around, as my old tool used to do. 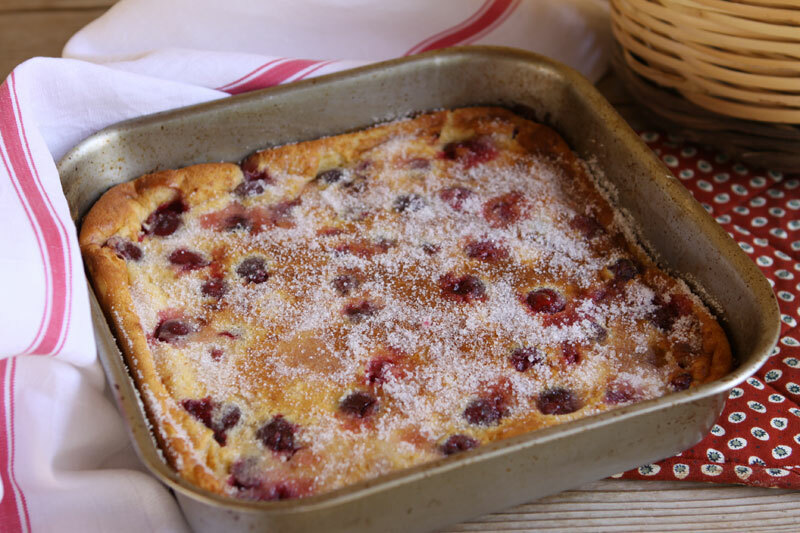 Here is the clafoutis, straight out of the stove. First of all, wash and stone the cherries. For this cake I use a square pan 9 inches sides and 2 inches deep. In a big bowl, sift together the flour, sugar and salt. In the center add the eggs and a little milk. Start whisking, adding the milk and the cream little by little. 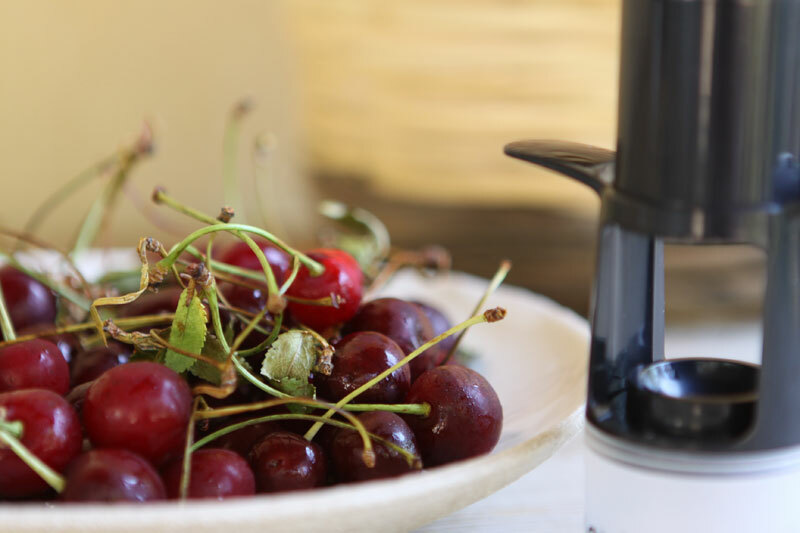 Pour the batter in the pan, over the cherries. Bake for 30 to 35 mn. Sprinkle the sugar over the cake, and leave for 5 mn in the closed stove. 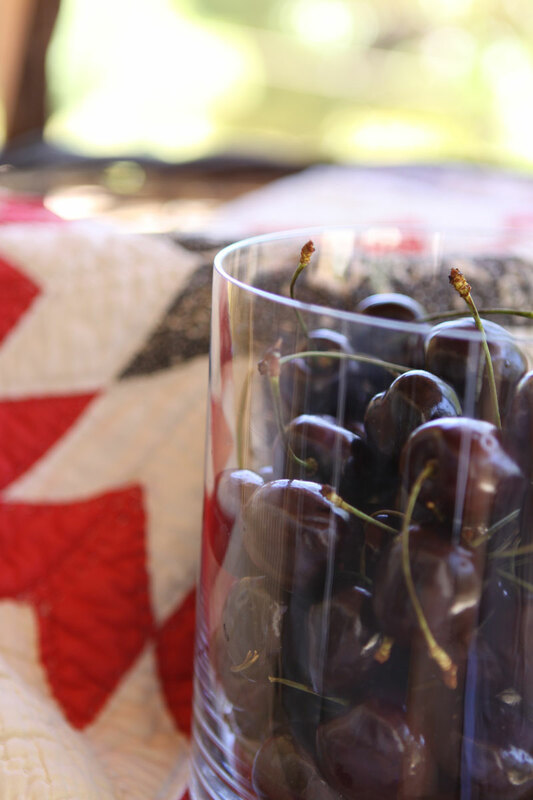 That looks so delicious, I just may have to pick up some cherries at the market today! Thanks for sharing the beautiful photos and recipe. Yum. Thank you for the recipe Christine!! Your cake looks wonderful! I will have to see if our local store has any sour cherries. Christine, you could easily be a stylist and photographer for a major magazine - your photos are simply gorgeous! 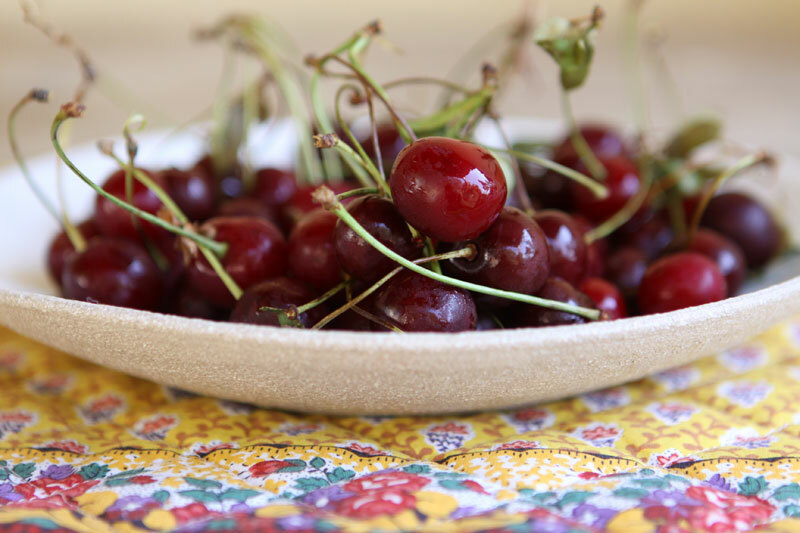 We love Cherry Clafoutis here! Thank you so much for sharing your Grandmother's recipe with us! I am going to save it and try it for our next special treat! Thank you for the recipe Christine! I'm a big fan of desserts and cakes. I'll certainly give it a try!! Thank you Liliane, I cannot reply to you by mail because you are a noreply blogger. Your pictures look so pretty. 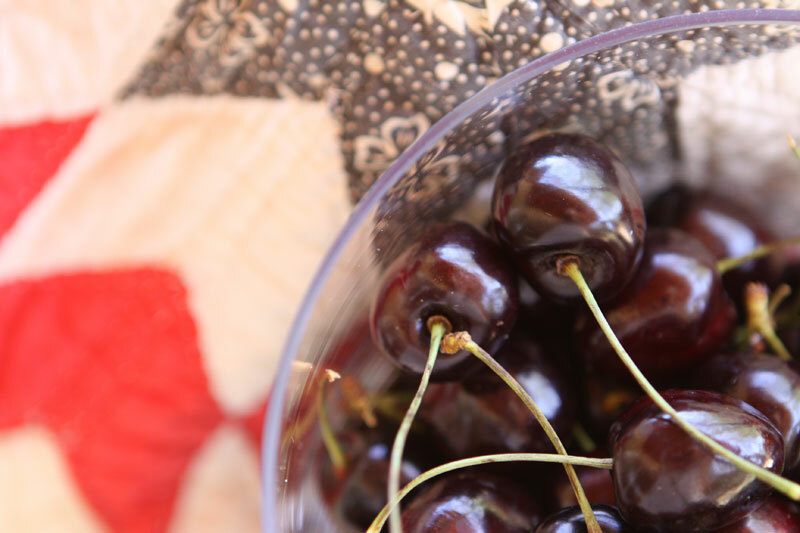 The cherries look delicious all on their own; but even better in the cake you have made. Thanks for sharing the recipe. 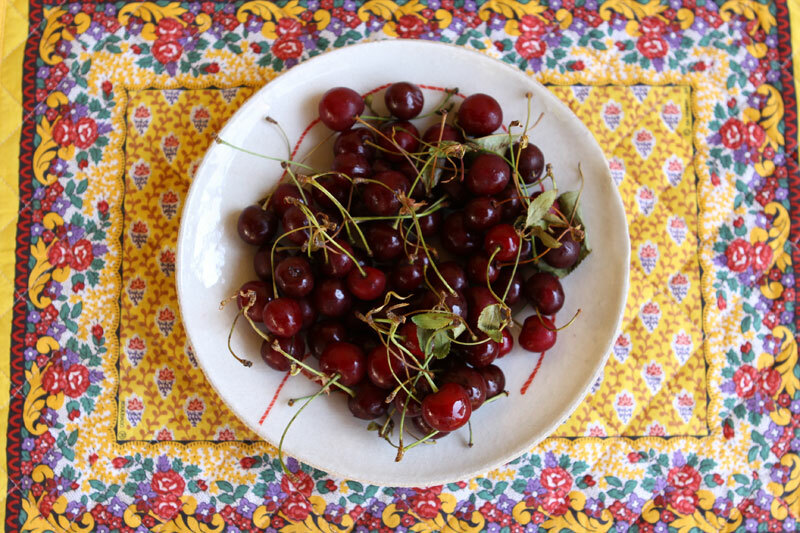 I agree with Lara your photos of the cherries are brilliant! Thanks for the recipe, I'll have to wait for the Australian summer before I can try it. Mon gateau prefere! Superbes photos! Thank you, Christine. I will enjoy making this recipe. Mary from Cherryville South Australia.